If you’ve been looking for a dog that’s easy to handle yet still playful, it’s possible you’ve come across the Chiweenie. Despite the somewhat silly name, the Chiweenie is one of the most adorable cross breeds you can find. They’re not all that well-known though, but with their sweet personalities, many people are just beginning to take notice. A Chiweenie is a cross breed of dog between a Chihuahua and a Dachshund. They go by many names, like Chihiweenie, Chawinnie, Doxiwawa, Dachuahua, and yes, even Mexican Hotdog. These little guys stay small throughout their lives, and for that reason, make great lap dogs and are easy to travel with. They’re able to adapt to smaller apartments, and can live just fine in areas that do not have large yards to play around in. Despite the fact that they’re perfect for older people or families with older children, these little guys love to play a lot and will require some toys. When they’re young especially, be prepared to give them lots of love and attention. This little breed isn’t too well-known, and only really started making waves in the 1990s. People love their small size, easy personalities, and low maintenance, although they’re not really fit for hunting trips like the Dachshund. Instead, these little guys are much more like the Chihuahua in terms of personality and activity. Both parent breeds have been along for a long time, so it’s quite amazing that it’s taken so long for the Chiweenie to make an appearance. The Chihuahua was originally bred in Mexico, although others trace them back to Asia. Chihuahuas are the smallest breed, and became popular in the US around the 1800s. The Dachshund was around as early as the 15th century, and first bred in Germany as a hunting dog. They also came to the US around the 1800s, and even though they don’t hunt much anymore, people love them as lap dogs. The Chiweenie is actually quite the controversial breed, as they’ve been sold and reproduced for profit in mills before. Many dogs are bred for the sole purpose of profit and may live in poor conditions to produce the cross-breed puppies. If you are looking for a Chiweenie, be sure to go through a rescue, and if you do use a breeder, always screen them to be safe. You know that the Chiweenie comes from both the Dachshund and the Chihuahua, but what does that mean for their temperament? Now that you know a little more about them, it’s time to learn about what you can expect if you live with one. Much of the Chiweenie’s temperament comes from their parents. This means that these little guys can be somewhat snappy and feisty at times due to the hunting blood of the Dachshund and the devoted personality of the Chihuahua. Usually, that makes this mixed breed brave and tenacious. Chiweenie’s can be bold and take-charge sort of dogs, and won’t just stand by when a stranger is around their human. They may be small, but they’re very loyal and protective and won’t hesitate to bark at strangers or intruders. Since Chiweenies form strong bonds with their owners, they’re often very cheerful, loving, and social. They’re not afraid to show you how loyal they are, and love it when they get the chance to travel with you. They can be somewhat difficult though, since they’re very independent and intelligent. This means you may have trouble training them, even though they love being around you. When you first get your Chiweenie puppy, you’ll notice that they’re fast learners and have trouble getting along with other dogs. If you train them when they’re young, you’ll have less issues in the future. Expect some tension when you first introduce your Chiweenie to others, and no matter their age, try to mix them with people and other pets immediately when you bring them home to prevent this. Usually Chiweenies are much more suited for senior citizens or families with older children. They don’t work well with young kids since they’re so small, although they do love to snuggle and cuddle, and will appreciate all your attention. They’ll do fine in smaller households, and with their laidback attitude, are quite calming. Don’t stay away from the home for too long though, since they tend to experience separation anxiety. Chiweenies can thrive in both indoor and outdoor environments. They’re so small you’ll barely feel them taking up space indoors with you, as they do love spending time with their humans. Even if they’re mostly outdoor dogs, you can arrange for them to come in the house every now and then. Exercise can be done both indoors and outdoors as well. Basically, they need very little space to move around and as long as they do get moving then they should be fine. When you see a Chiweenie, you’ll see a long body, short, stocky legs, and large eyes and ears. You may see a slightly different shape to the head and ears thanks to which genes they got from their parents, but you should still be able to recognize the Chiweenie right away. These little guys usually weigh around 10 pounds or less, and aren’t more than 8 inches high when standing. People with allergies benefit from Chiweenies the most, since they have a smooth, short coat. There are long-haired Chiweenies too though, and all sorts of colorful coats depending on the parents. The fur can be any color from blonde like a Chihuahua to black and brown like the Dachshund. Because the type of coat that your Chiweenie has depends on genetics, there is no one sure way to groom them. So you should know that there are diferent methods of grooming depending on your Chiweenie’s coat. In terms of brushing, short coat Chiweenies require little brushing and less frequency of brushing with no worries of too much shedding. Chiweenies with longer coats need at least 2-3 brushing sessions in a week, so they’re not that high maintenance either. Baths can be even more sporadic for both coat types of Chiweenies, as long as they don’t end up getting extremely dirty. Baths can be done only when necessary, and you don’t have to set a strict schedule with regards to when you bathe your dog. At the very least, once a month should be enough and then you can decide how to go from there. What does need attention for Chiweenies is nail trimming, at least once a month. This can be more frequent for indoor dogs as their nails don’t have pavement to dull their nails. Brushing is needed more frequently at least twice per week. Because the breed is prone to dental problems (as is common in many small breeds but particularly in Chiweenies), you might have to brush them more frequently in a week. Common health problems that the Chiweenie breed may face are hip dysplasia, skin irritations, allergies, eye diseases, and of course, dental problems. As with most diseases, any disease that their parents carry has a chance of being genetically passed on to a Chiweenie puppy. The dental diseases usually comes from the Chihuahua side while intervertebral disc disease comes from the Daschund parent. Daschunds are prone to intervertebral disc disease dur to their body build, which is largely a result of targeted breeding the breed has gone through over time. Sadly, a Daschund or weiner bred puppy who has herniated a vertebral disc is at risk of doing so again. As such, weak backs are a general genetic problem that the breed and their offspring have in common. This is even more of a risk if the Daschund is bred with a Chihuahua as their puppies have chances of getting shorter legs than usual. That leads to more stress on the dog’s spine and legs, putting them at risk of herniated discs. Dental problems are likely with Chiweenies who have inherited Chihuahua-like facial structures as plaque is more likely to collect in their overcrowded teeth. This can also lead to periodontal disease (from gingivitis and/or tooth decay) which can cause tooth loss. 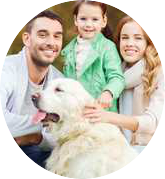 Documentation from your chosen breeder certifying that the parents have been cleared of breed-specific health problems will be a great plus. It is recommended that you don’t purchase from a breeder who cannot provide such documents, as this implies that they don’t care about the offspring of their breeding endeavors. Such documentation can also be a basis for what health problems your Chiweenie is likely to inherit, if any. Due to their body’s small size, Chiweenies tire easily. This is good news as the breed’s energy can be off the charts sometimes. They are very playful and love engaging in physical activities. Unlike larger dogs that require long walks to burn off excess energy, Chiweenies can get the right amount of exercise with just one walk a day, and a short one at that. Also provide your dog with toys at home so they can be kept occupied even when you’re at home. It takes less time for you to engage with them in this way as well. As mentioned before, they don’t need that much space to play around in before they get tired and conked out. Personality-wise, Chiweenies are kid-friendly dogs and are greatly compatible with families. However, it is also recommended that you adopt a Chiweenie into a family with young children that you ensure that your kids are careful with handling the dog. Because they are small in size, it can be quite easy for them to sustain injuries when manhandled. Ideally, dogs should be included in homes with slightly older children to give them a better sense of responsibility in keeping the dog safe. When treated right, Chiweenies are greatly attached to their families and will protect them at all costs. Despite their loyal and affectionate temperament, Chiweenies are also likely to become aggressive, stubborn, and dominating. As such, you should put a firm foot down and establish your place as an owner that they should respect. Note, respect is not equivalent to fear. Just make sure to train your Chiweenie well, with firmness and humane treatment as well as positive reinforcement of good behaviors. Lastly, it is also a good idea to socialize your dog so that they can deal with strangers and other dogs better once they grow up. The Chiweenie mixed breed has just started to become very popular, with many people adoring their cute faces and loyalty. Don’t let their small size fool you though; these little guys and gals have big personalities and are always ready to protect you. If a Chiweenie seems like an ideal dog for your household, consider adopting one at a rescue.